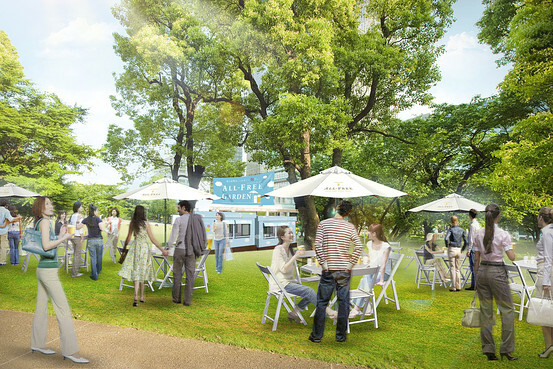 Suntory Liquors Ltd. says it will claim a first in Tokyo beer garden history when it opens its own stand this week: No alcohol allowed. The garden at Tokyo’s swanky Midtown shopping complex will not be serving any alcoholic beverages. The only beer on tap will be the Japanese brewery’s All-Free, of which the alcohol content is 0.000%. There will also be soda, orange juice and tea. That’s it.